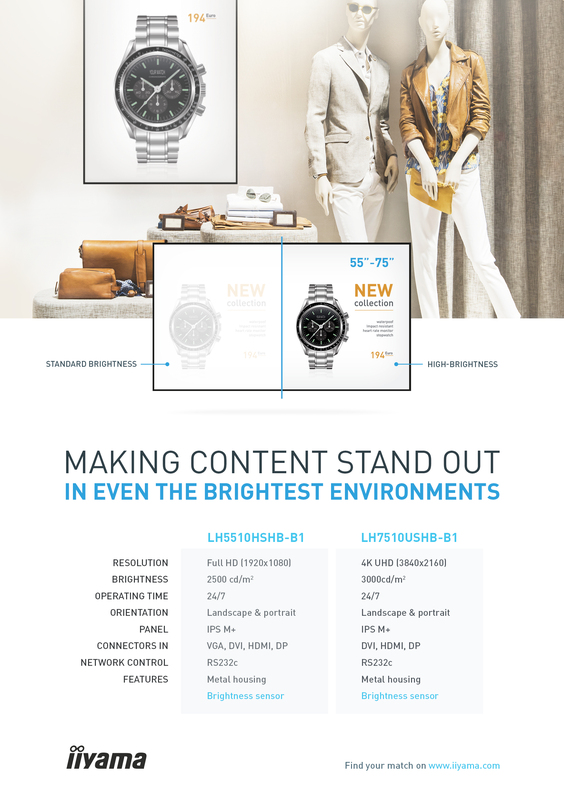 This quarter, iiyama is adding two all-new high-brightness displays to their professional digital signage range that can handle the heat! 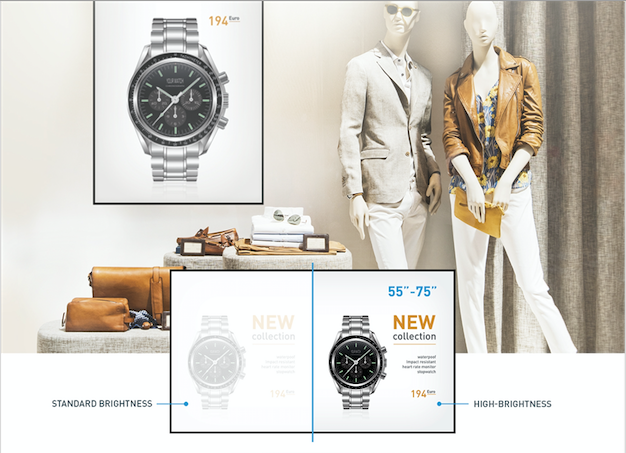 The two displays can be installed in sunny shop windows and very bright environments without worry as they are equipped with special IPS M+ LED panels with a brightness up to 3000cd/m2 and a light sensor that automatically adjusts the displays brightness depending on the light intensity. Both displays are sunlight readable which means that even when the sun light falls directly on the display customers can still clearly see what is being shown on the display. The IPS M+ LED panels are blackening effect free, which allow them to withstand temperatures up to 110°Cwithout blackening. The 55” LH5510HSHB-B1 has a Full HD resolution (1920×1080) and a 2500cd/m²brightness and comes with VGA, DVI, HDMI, DisplayPort signal input and a slim metal housing. The 75” LH7510USHB-B1 features a 4K UHD (3840×2160) resolution with a 3000cd/m²brightness and comes with DVI, HDMI, DisplayPort signal input. The LH5510HSHB-B1 is available from November 1stthroughout Europe. The 75” LH7510USHB-B1 will become available later this year.